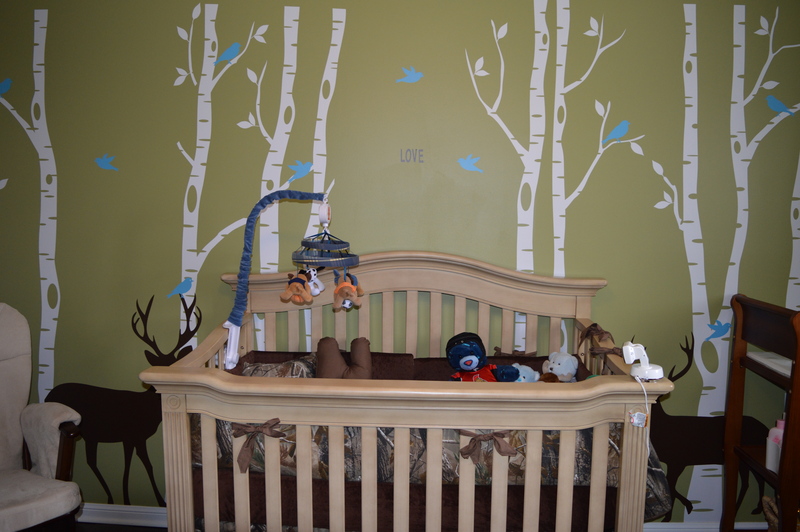 I’m not sure what it is about nurseries but I just love them! 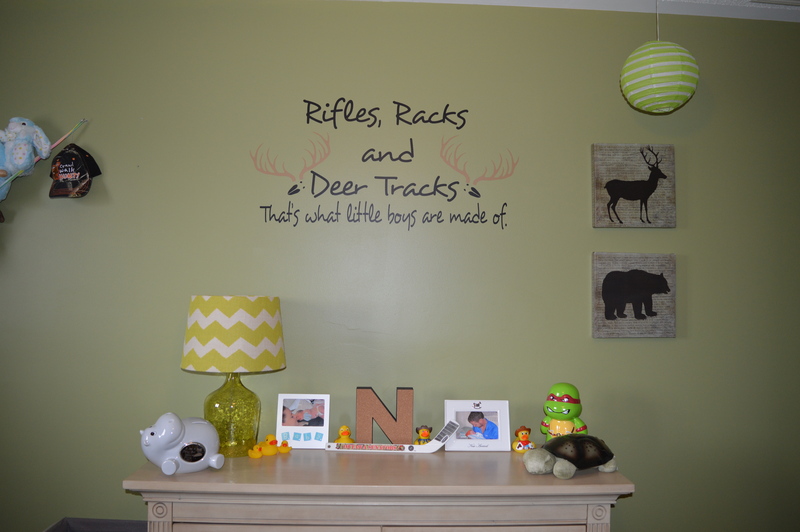 Whether it’s Nate’s nursery or any of my friend’s children’s nurseries, I can’t help but fall in love with each and every one of them! There’s something about knowing a sweet, innocent baby will be sleeping in there that soothes my soul. I remember when I was pregnant, there would be days where I would feel so stressed out about whatever but the moment I would step into Nate’s room it would completely relax me and whatever troubles I had would just melt away. It was so peaceful in there and it immediately became my favourite room in our house. I thought I’d make a little post about what the room started out looking like and where it is today! 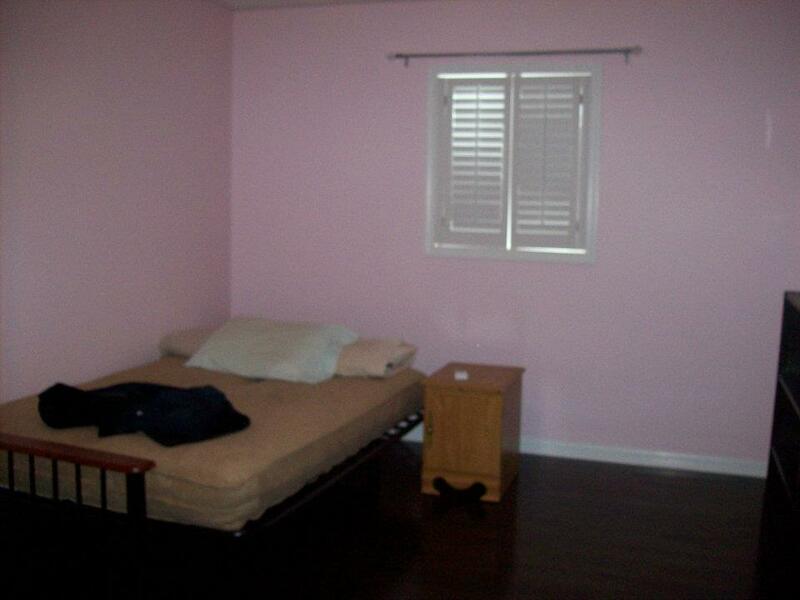 When we moved into our home, we had two spare rooms. One was bubble gum pink and the other army green. 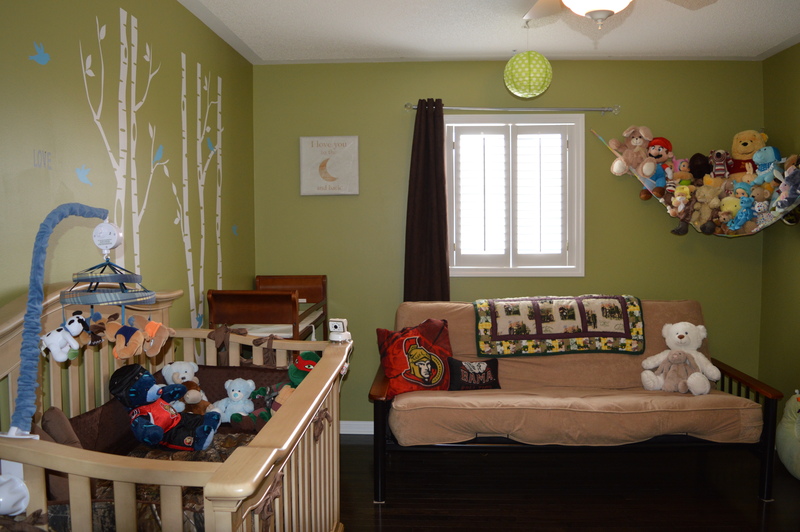 Kurt and I decided when we had kids it would make sense to use the biggest room as the nursery and the smaller of the two as just a guest room. Well the second bedroom sat basically empty except for a futon and side table and the third room was completely empty for almost two and a half years. 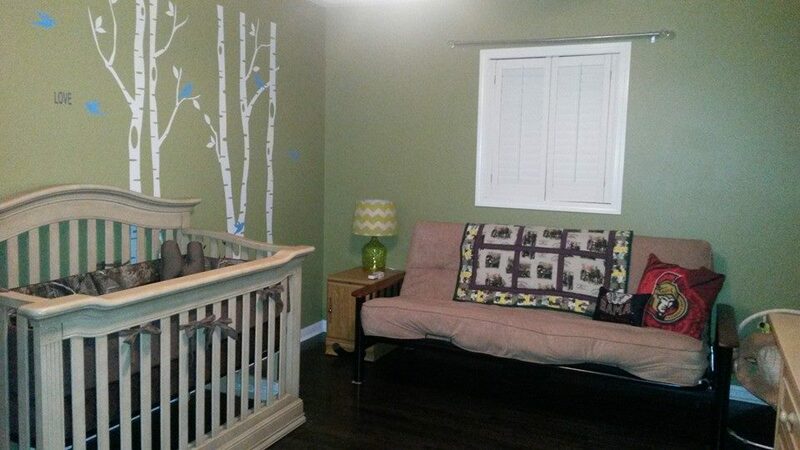 The moment we found out we were expecting, we decided to get the spare bedroom ready. 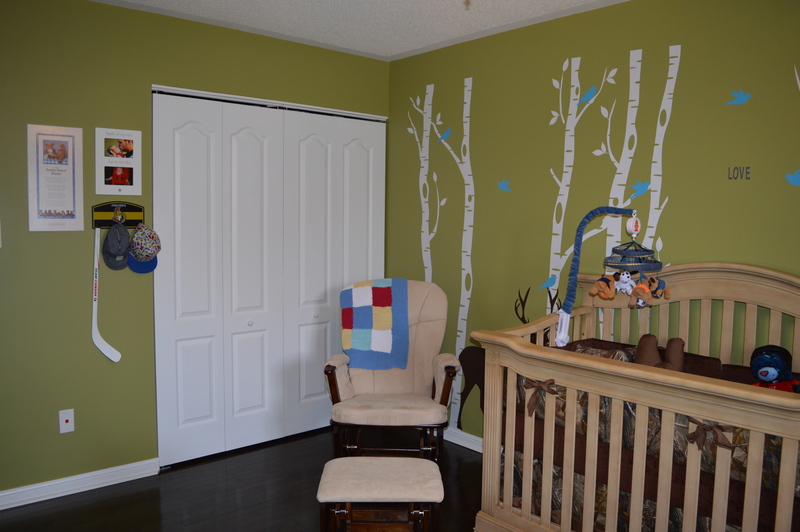 I knew if we were having a boy I wanted to do a forest theme nursery, meaning we’d have two green bedrooms. 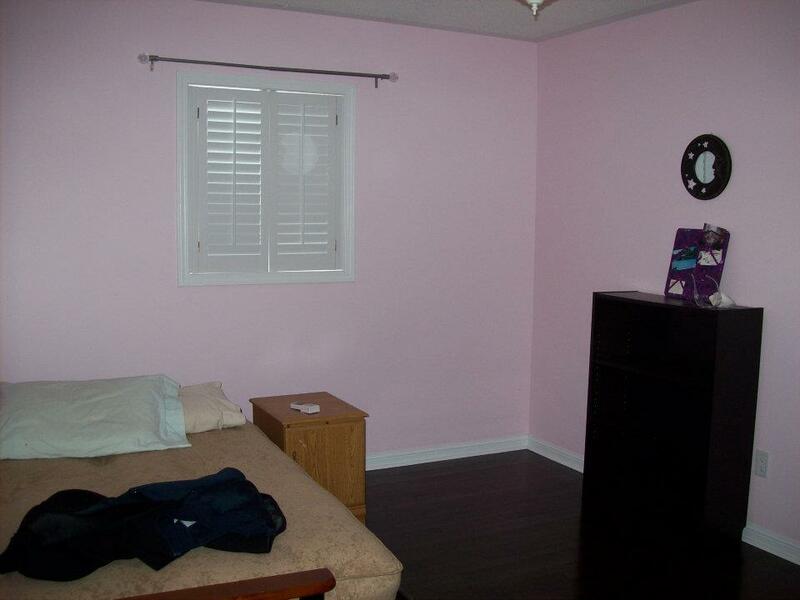 This didn’t sit well with me and my colour ocd so we decided to paint the third bedroom a nice saltwater blue. Once we got that room set up, we just had to wait and see what we were having. 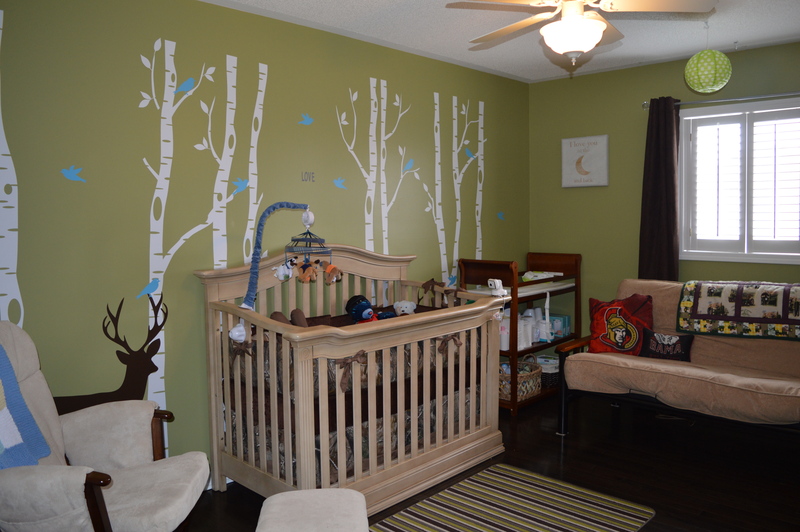 As soon as we discovered it was a boy I started planning the nursery. I found the cutest “camo” bedding on Etsy so of course I just had to order it. It’s custom made and came with a letter N pillow. My co-worker also made that quilt on the futon. 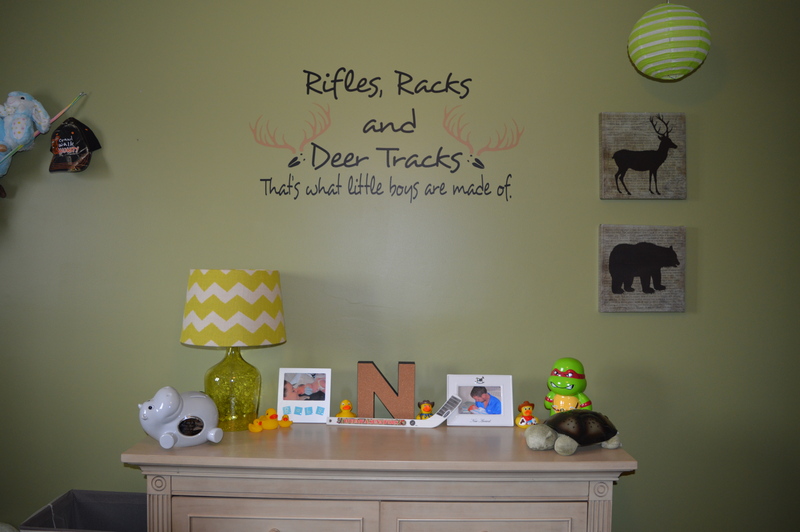 It’s John Deere which does go with the room too. 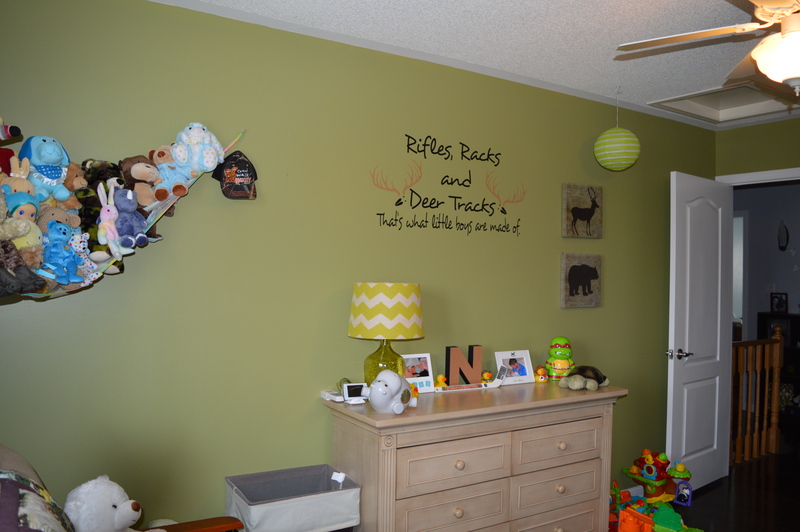 Well here’s what his room looks like now and it’s just my absolute fav! Previous Post Wait, Wait, Wait… What Happens!? Next Post Lions and Tigers and Bears Oh My!